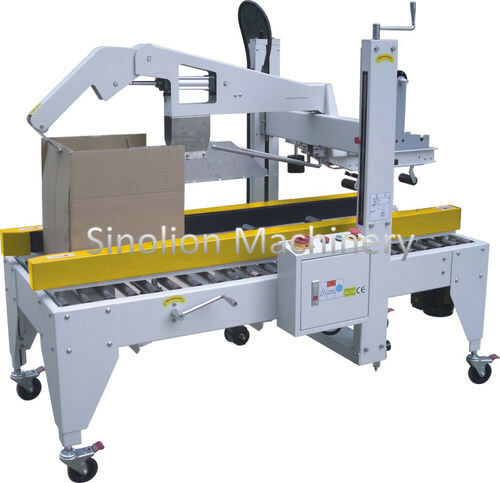 XL-01 Case Sealer Machine is suitable for circumstance where the size of cartons doesn't change frequently,which especially fits for continuous sealing of cartons in the same size.The machine is used in the fields of domestic electrical appliance,foodstuffs,general merchandise,medicine and chemical industries. Looking for ideal Case Sealer Machine Manufacturer & supplier ? We have a wide selection at great prices to help you get creative. All the Easy Operation Automatic Sealing are quality guaranteed. We are China Origin Factory of Carton Case Sealing Machine. If you have any question, please feel free to contact us.